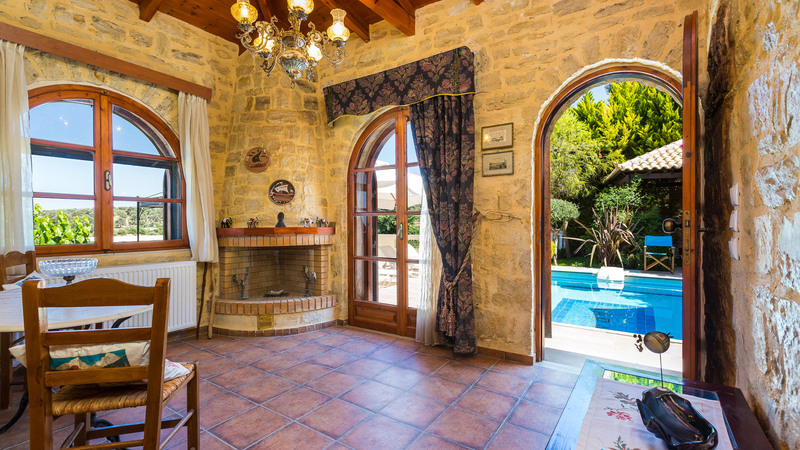 Hara Villa, brings a traditional home feeling to your holidays. 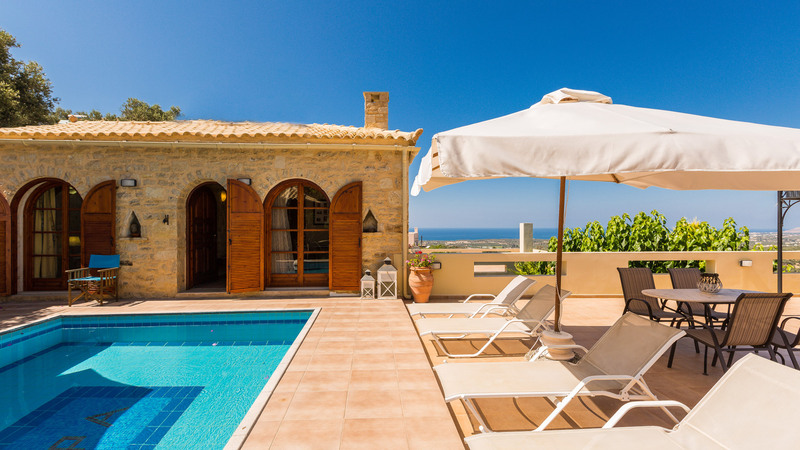 A private villa with character, only a few kilometers from the renaissance city of Rethymno. 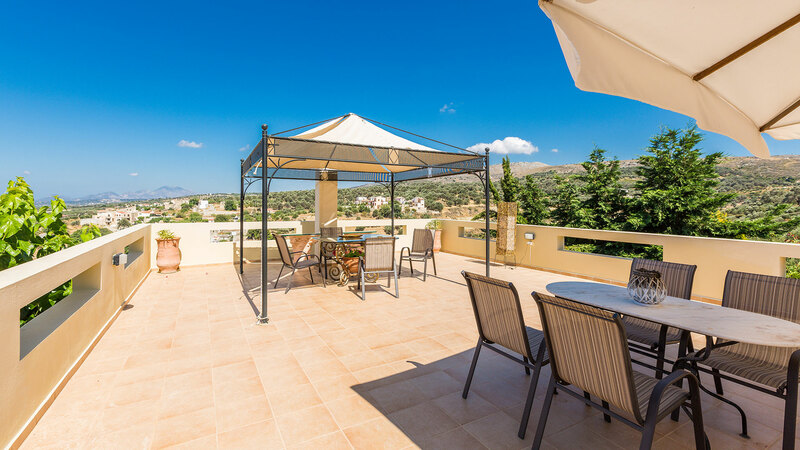 The villa is a two story building and may accommodate up to 9 persons within a 4.000 meters private estate on the northern coast of Crete, in the resort area of Rethymnon. 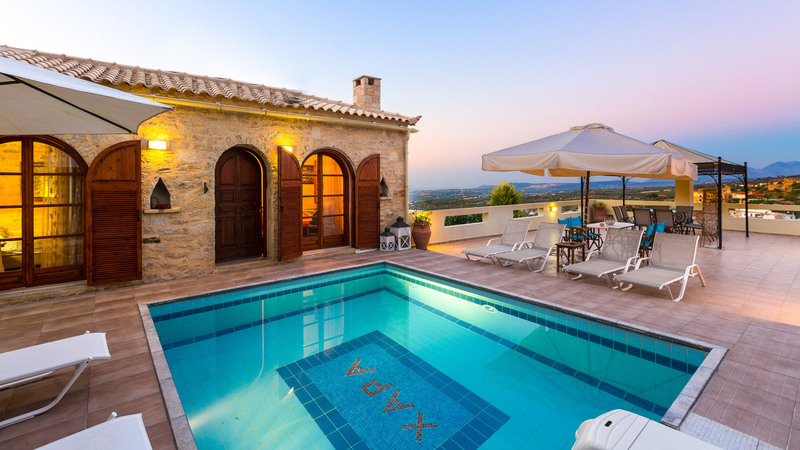 Next to splendid golden sandy beach and a breathtaking view over the endless deep blue Aegean sea, the estate combines an elegant natural setting and is the perfect choice to meet the taste and expectations of travelers who value quality, elegance, privacy and the experience of a unique holiday. Hara villa was build in 2006 and renovated again in 2012. 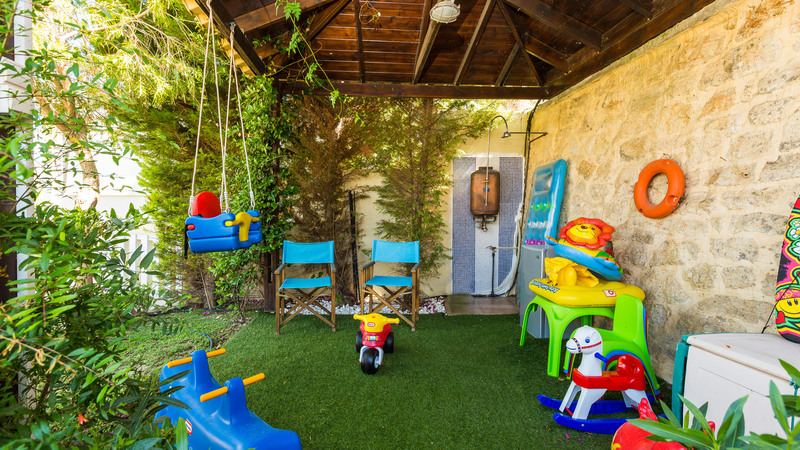 It has 170 sqm area of well tasted decorated spaces. As an accommodation estate it has separated itself due to its location. 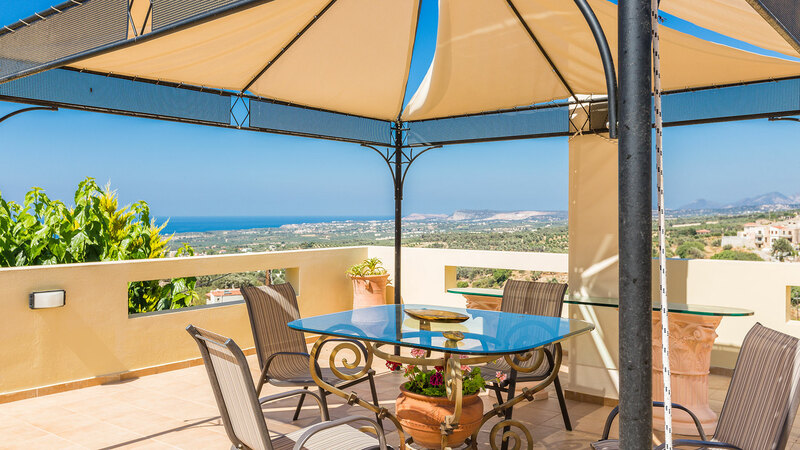 The spaces of the property are private, large in area within the Cretan nature but even from the balcony you may see the views of the whole city. 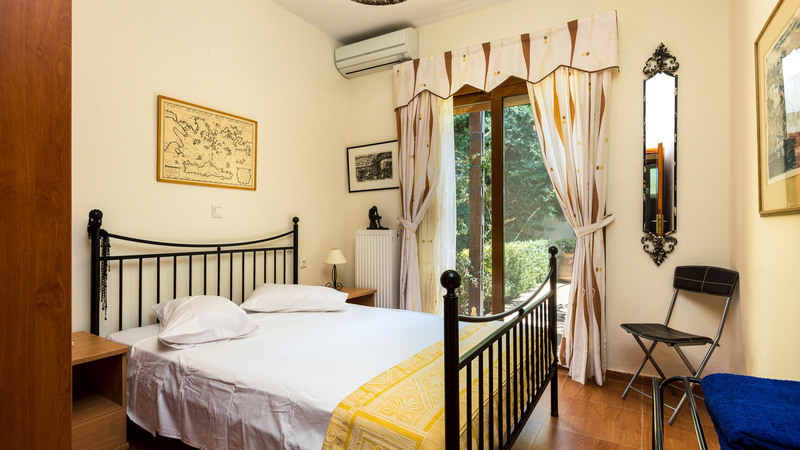 Hara Villa, brings a traditional home feeling to your holidays . 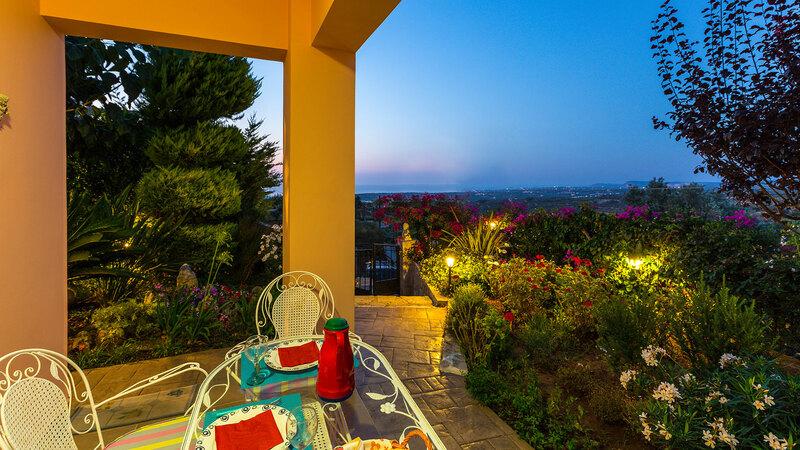 A private villa with character, only a few kilometers from the renaissance city of Rethymno. 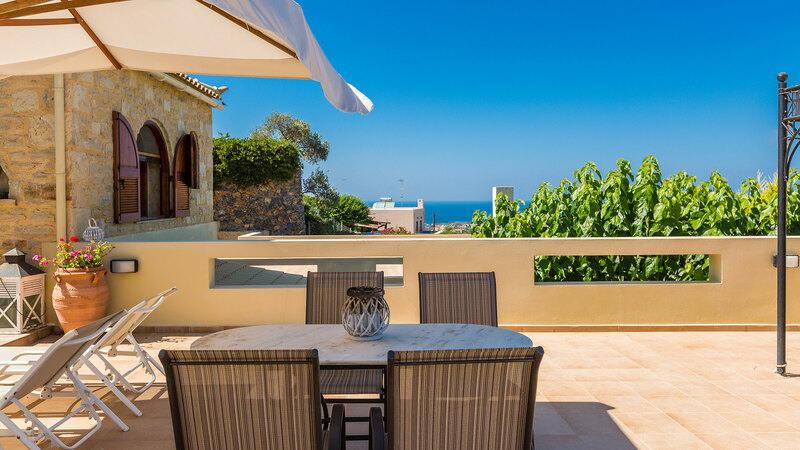 The villa is a two story building and may accommodate up to 9 persons within a 4.000 meters private estate on the northern coast of Crete, in the resort area of Rethymnon. 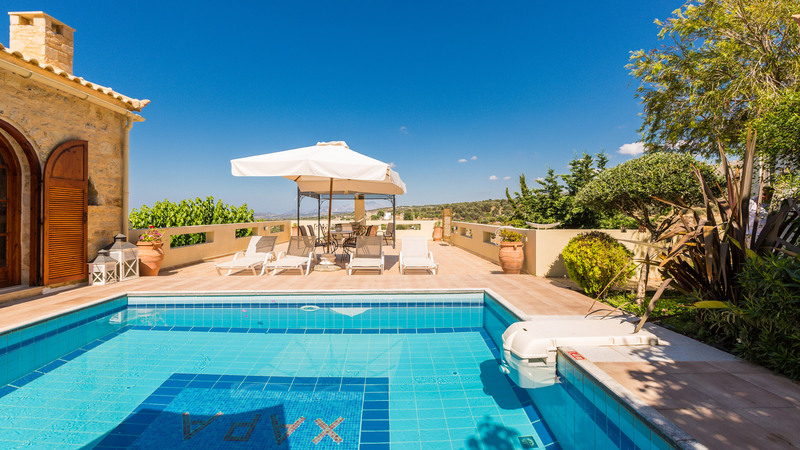 Next to splendid golden sandy beach and a breathtaking view over the endless deep blue Aegean sea, the estate combines an elegant natural setting and is the perfect choice to meet the taste and expectations of travellers who value quality, elegance, privacy and the experience of a unique holiday. 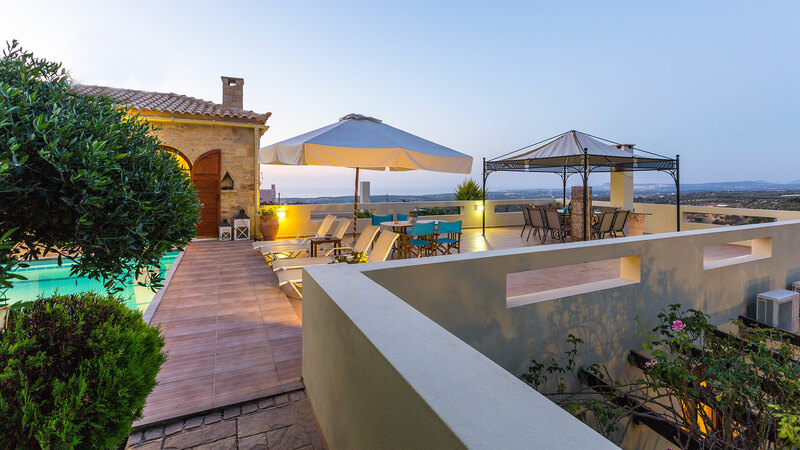 Hara villa was build in 2006 and renovated again in 2012. 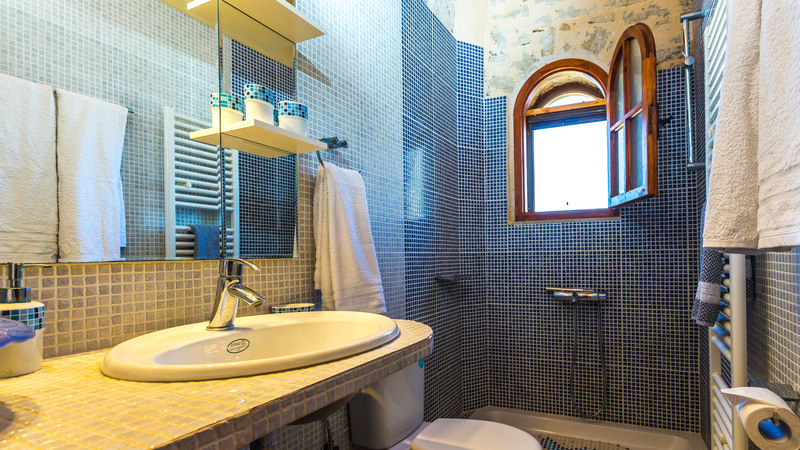 It has 170 sqm area of well tasted decorated spaces. As an accommodation estate it has separated itself due to its location. 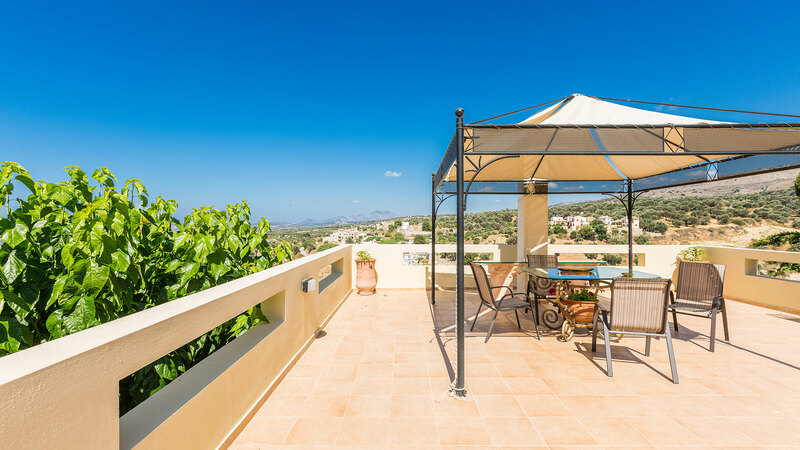 The spaces of the property are private, large in area within the Cretan nature but even from the balcony you may see the views of the whole city. 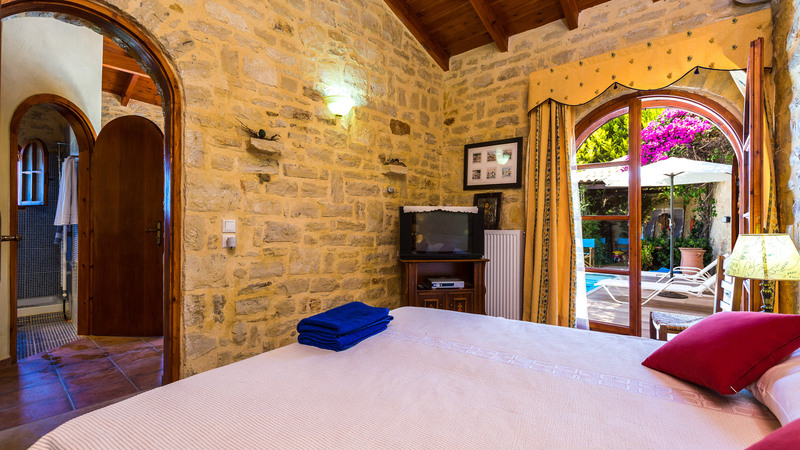 The villa consists of 2 buildings in two different levels - a 120 sqm main house and a 50 sq m separated studio and can accommodate 8 people in beds and up to 9 people if it is necessary. 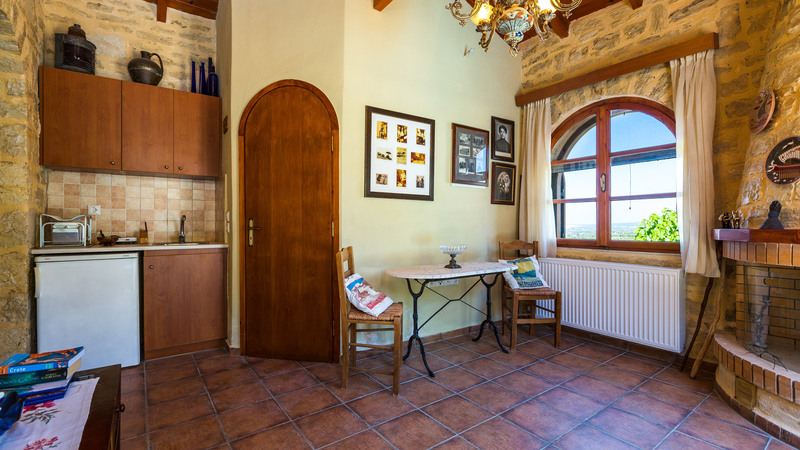 The main house on the ground level has 3 bedrooms, 2 bathrooms, kitchen and lounge. 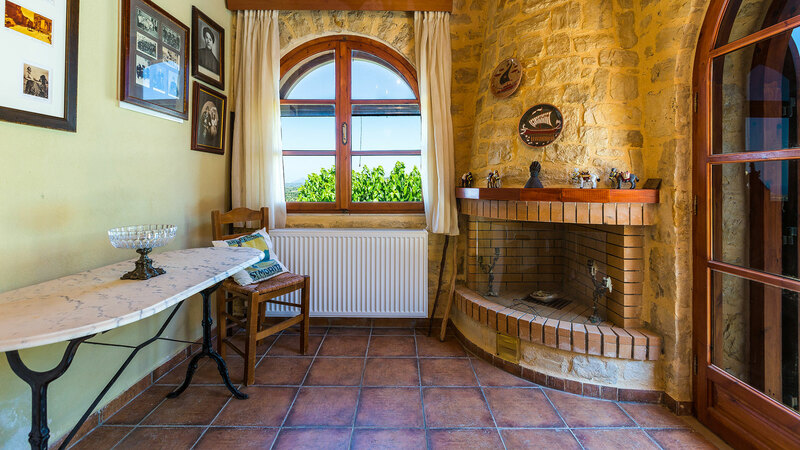 The house is equipped with air conditioning and a fireplace. 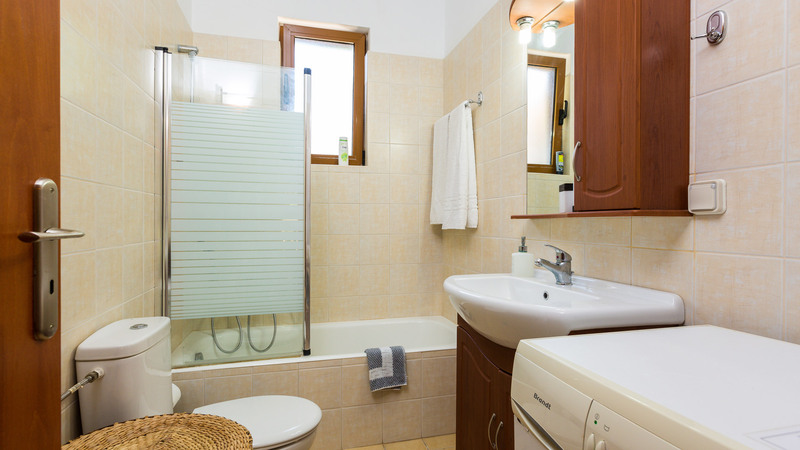 The kitchen is fully equipped with kitchenware and home appliances such as dishwasher, microwave, toaster and coffee machine. 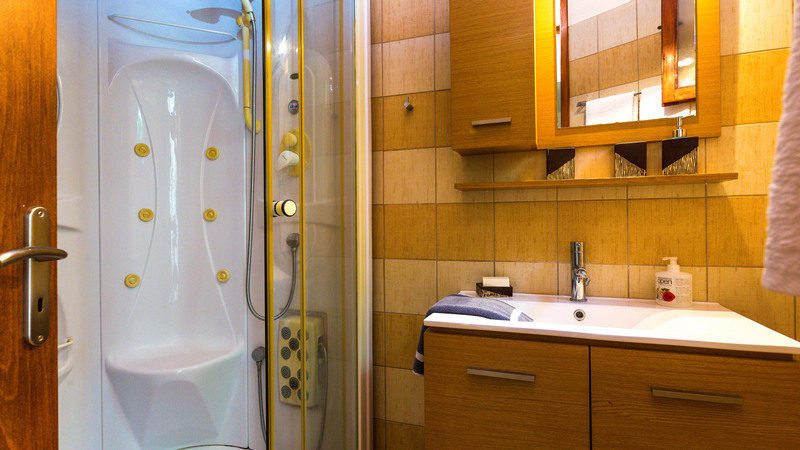 The first bathroom is equipped with a washing machine and hair dryer, while the second bathroom has a luxurious jacuzzi cabin. 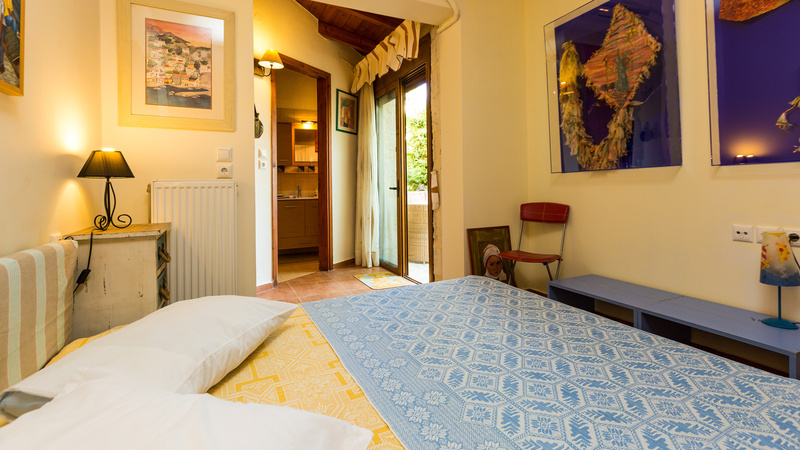 The studio in the first level has one bedroom with a double bed which also can be set up as two single beds, one bathroom, a small lounge with fireplace and a small kitchen. 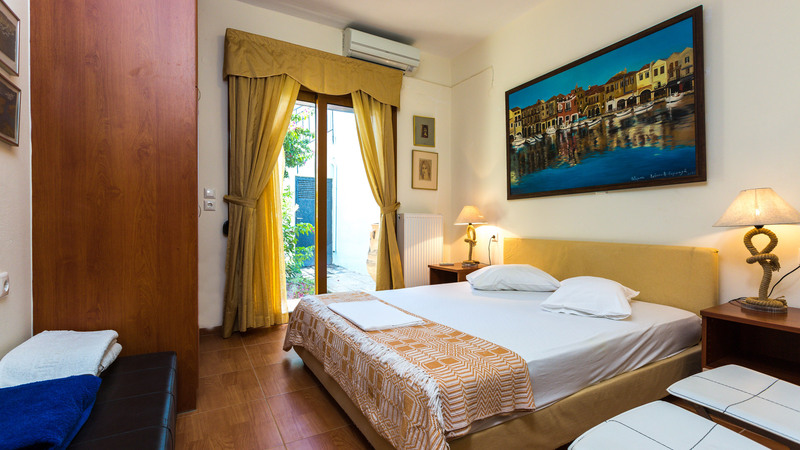 All the bedrooms and areas have air-condition. We will provide 2 air beds and baby cot if it is necessary! The villa has a spacious garden, which connects the two buildings. 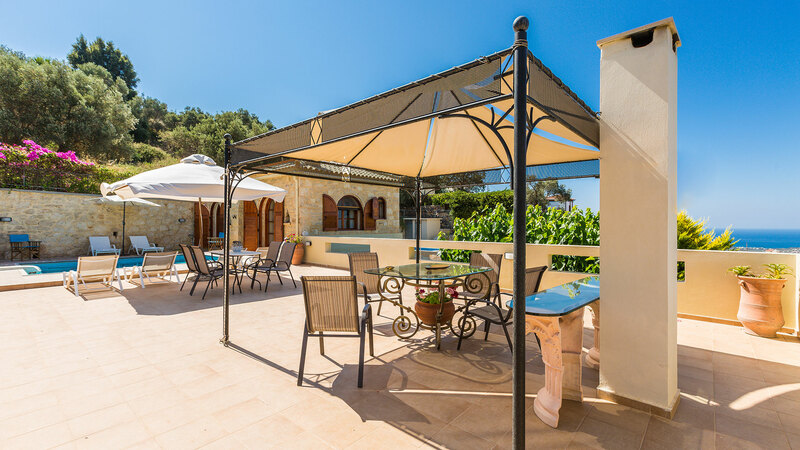 In the garden there is a built-in barbecue facility, many different kind sitting areas, playground for children and a comfortable private swimming pool with sun beds & umbrellas! Given the location of the village and the landscape, there are numerous attractive hiking and cycling routes. 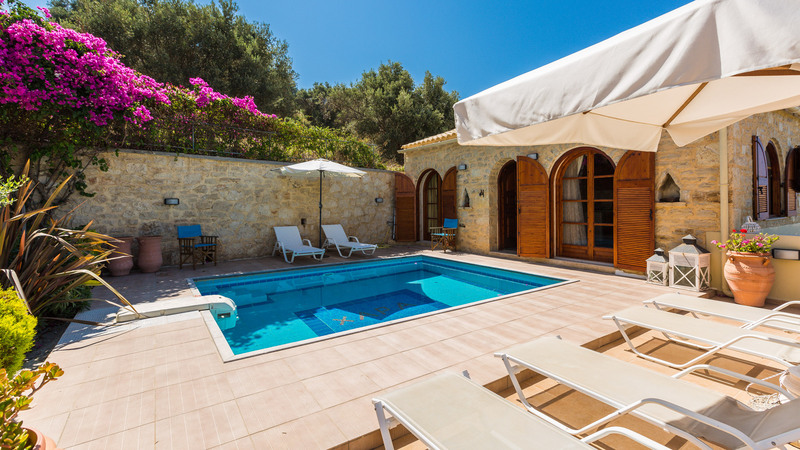 Hara Villa and the small village of Agia Triada is located in the narrowest point of Crete which gives easy access (within 40 minutes) to the most beautiful Southern beaches of Rethymno. In the main house on the ground level there is a living room area with HDTV, DVD player and fireplace. 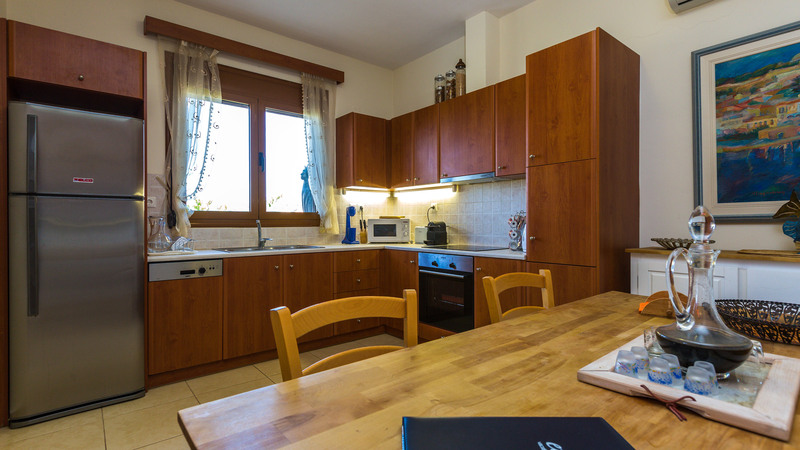 The main kitchen is located on the ground level next to the living room, and is fully equipped with kitchenware and home appliances such as dishwasher, microwave, toaster and coffee/espresso machine. 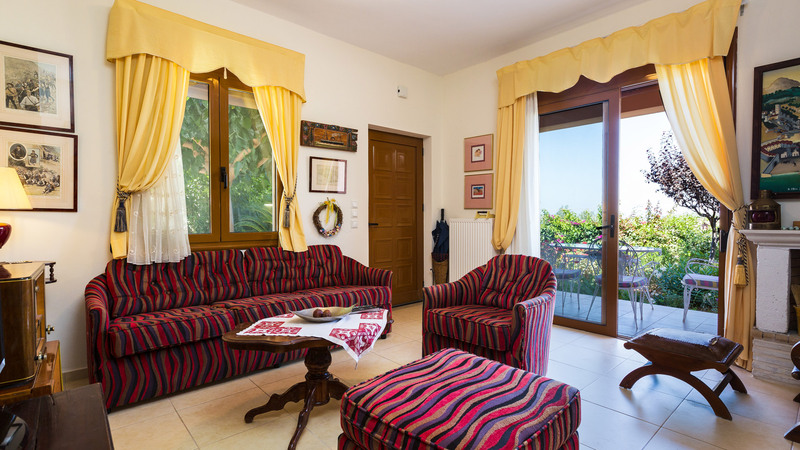 The villa has many dining and coffee tables indoors and outdoors. 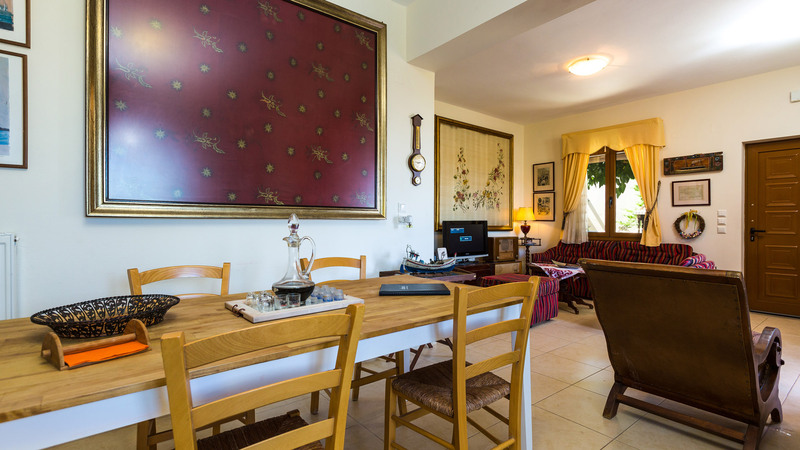 The main dining table is located next to the kitchen, there are also one dining and one coffee table in the garden on the ground level. 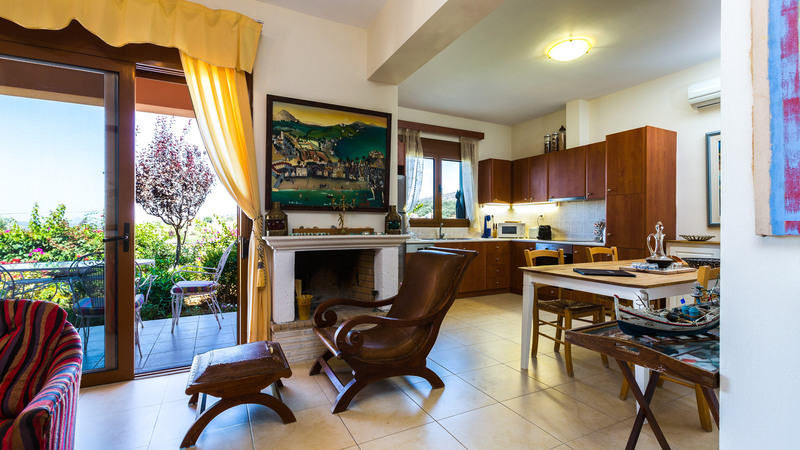 In the studio you will find a coffee table next to the small kitchen and next to the pool area one dining and one coffee table. In the garden there is a built-in barbecue facility & a coffee table under a big tree where you can enjoy a meal or drink under the shadow. We will also provide you with everything that you might require such as charcoal. 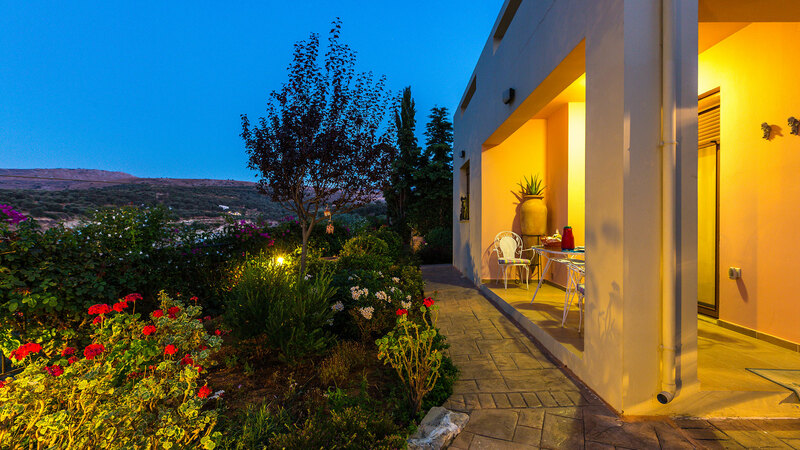 Our spacious garden which connects the two buildings of our villa, is surrounded by gardens with many different kinds of trees & flowers! 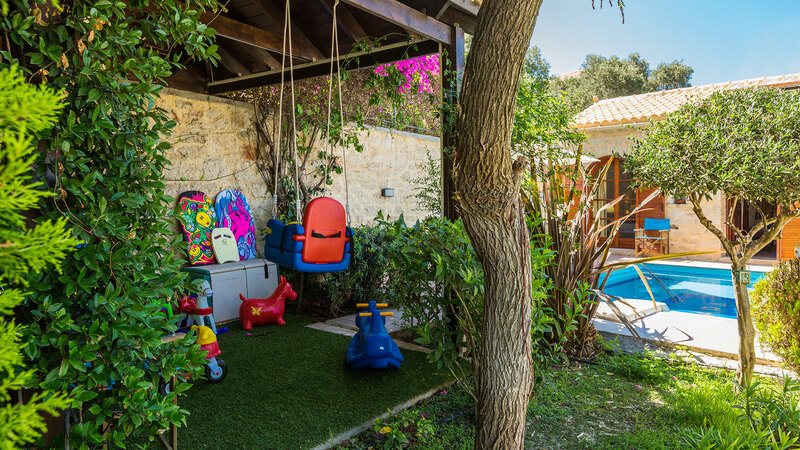 In the garden there is a built-in barbecue facility, sitting areas, playground for children and a comfortable private swimming pool with sun beds & umbrellas!